Using fine needles to stimulate meridians traveling through the body along the nervous system, acupuncture aims to influence health and decrease symptoms of illness. Used for centuries as a form of traditional Chinese medicine to treat various symptoms and diseases. Acupuncture is an integral part of a balanced health plan. Thanks to the outstanding care I have received at Bellevue Natural Health, Clinic I can face each day with energy and enthusiasm. For more information on Acupuncture and Traditional Chinese Medicine, please visit the Care. Chen is accomplished in his field. Graduating with the University of Chinese Medicine and the School of Acupuncture and Tuan in China, Chen has years of clinical experience and brings vast knowledge and passion to his practice. 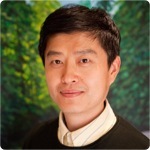 Book an appointment to meet Professor Wen Chen and learn more.